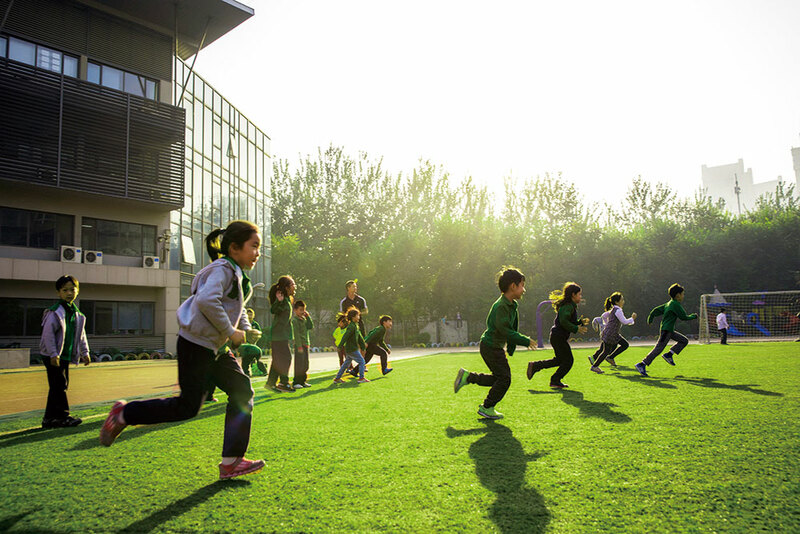 Founded in 1998 and growing to over 20 campuses throughout China, Beanstalk International Kindergartens and Beanstalk International Bilingual Schools (K-12) seamlessly integrate Chinese and Western educational philosophies and best practices. As one of the leading Chinese pioneers in K-12 international bilingual education, Beanstalk Education Group encourages students to develop as bilingual, multi-cultural, and globally-minded citizens. With campuses in Beijing, Kunming, Chengdu, Nanjing, Xi’an, and Hainan, Beanstalk Education Group is helping tens of thousands of students from China and around the world. After-school activities: Activities vary depending on campus and grade level, but likely to include ballet, gymnastics, tennis, basketball, soccer, dance, drama, music, Model UN and more. Facilities: The BIBS Upper East Side (UES) Campus and Dongrun Campus are conveniently located close to Chaoyang Park and the Embassy district. The UES Campus features a soccer field and athletic track, a gymnasium, basketball courts, auditorium, library, music rooms, dance studio, Chinese Culture Room, specialist classrooms and learning support spaces. The Shunyi Campus is a full K-12 school which features large, bright classrooms with colorful graphics, vertical whiteboards, pin boards and digital projectors. It also has an indoor swimming pool, a rooftop basketball court, soundproofed music practice rooms, a video suite, science and technology laboratories, two libraries, indoor and outdoor sports and play areas (including tennis courts), a dance and drama studio and a cafeteria.